As the ‘Claims and Objection’ forms doll out from various NRC Seva Kendras or in short NSKs of the state, the ‘Objection form’ has raised many an eyebrows. 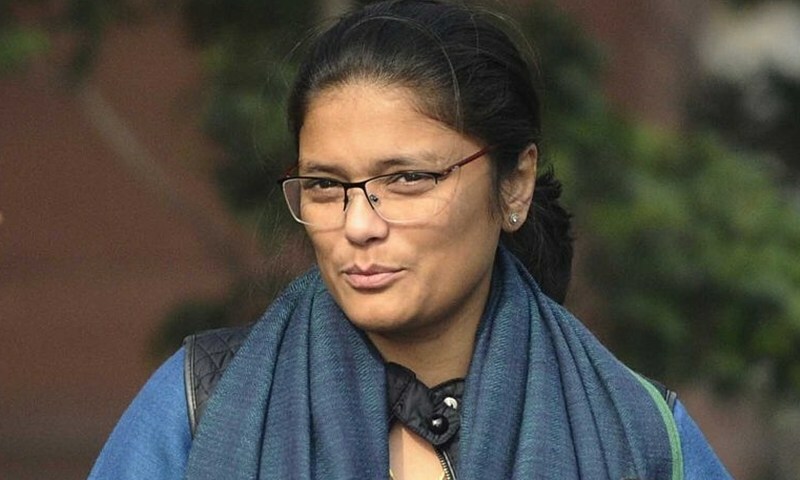 The Standard Operating Procedure (SOP) to handle this issue of ‘Claims and Objections’, as more than 40 lakh people in Assam find their names not listed in the final draft of NRC published on July 30, last, many have to face even hard days ahead, believes, All India Mahila Congress President and Silchar MP Sushmita Dev. Not just the missing 40 lakh names, but objections can be raised even against anyone whose name already figures in the final draft. Add to that, whosoever fills an objection form, cannot come under the purview of any penalty for doing so. The person can fill an objection, even if he lacks substantial document or proof against the person he is submitting an objection. Keeping all of these in mind, Sushmita Dev wrote a letter to the Register General of India (RGI) Shailesh voicing her concerns on August 23. 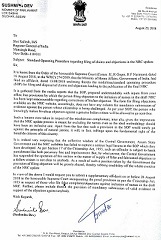 Silchar MP Sushmita Dev’s letter to the RGI.